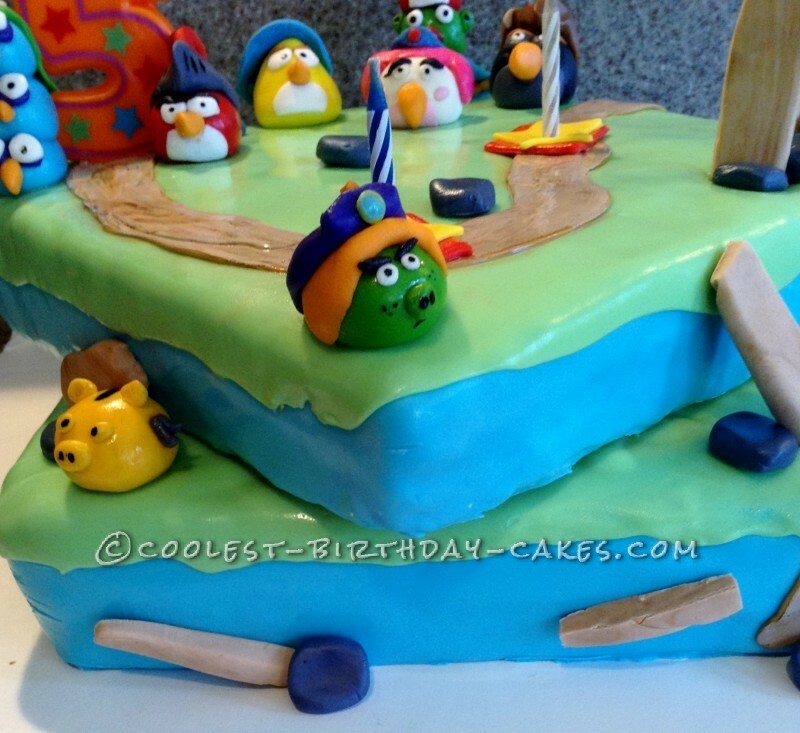 This is an Angry Birds Epic cake based off the Ravio role playing game. My son loves Angey Birds and when we saw this game online he had to have it. I had to download a Canadian iTunes account to get it because at the time it was not available in the US. The game is very complex with lots of characters and levels. I tried to capture as much as I could in this cake. Basically in the game you beat a level and advance to the next one making a path as you go. I did this by making a path and using the stars and red squares. 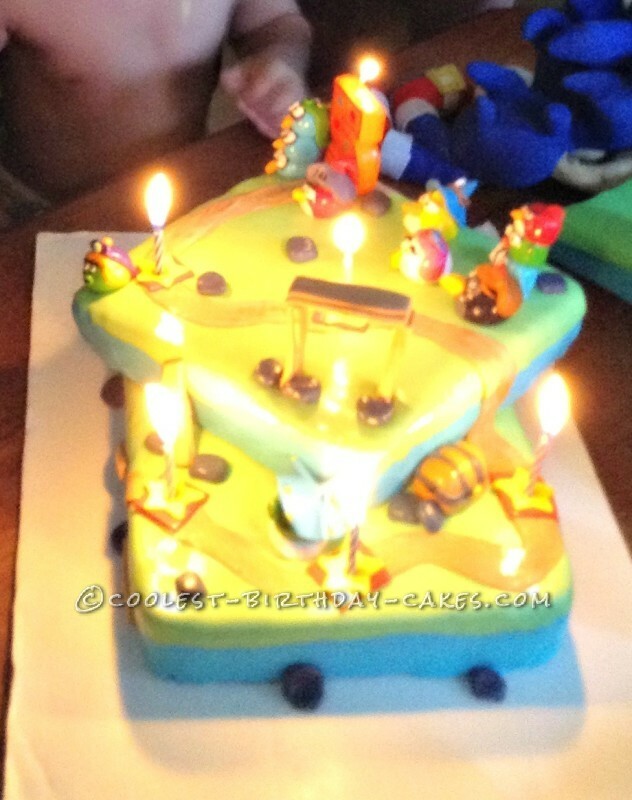 Everything on the cake is edible except the candle. I made all the characters by hand and painted the details on with food coloring. 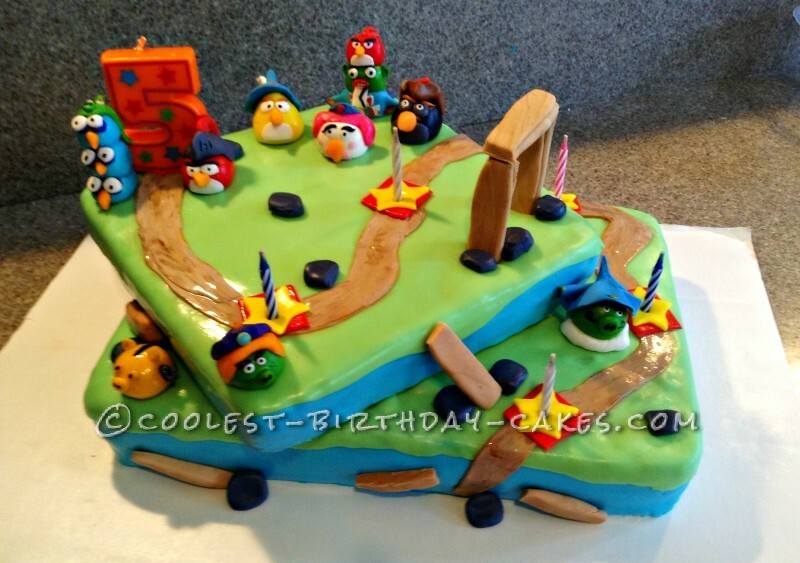 I had the best time making this cake and my son went crazy over it. The most challenging part for me was trying to make room for everything I wanted on it. Making the characters was actually much eaiser than I anticpated, in fact tinting the fondant took more time than scuplting the them. I also worried about the cakes being square. 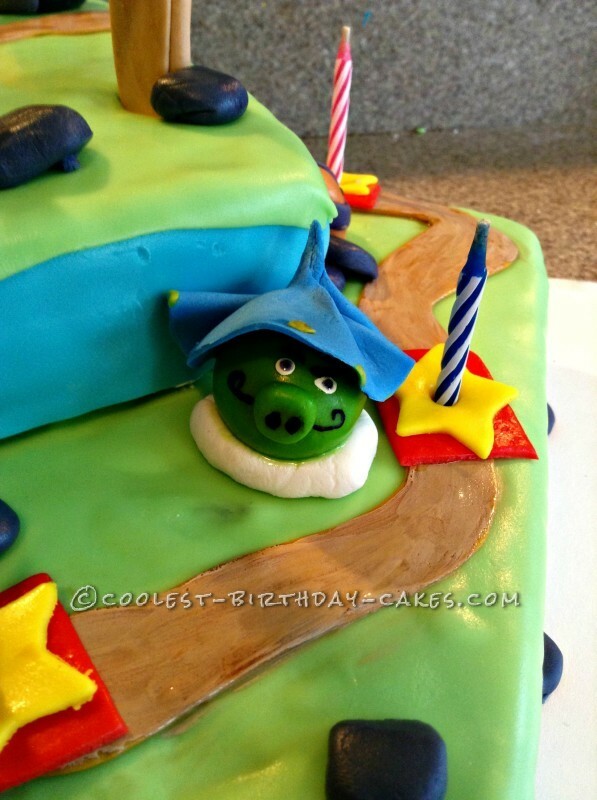 For some reason I find covering square cakes with fondant harder than round, I often wonder if others have this problem as well? But they came out okay. 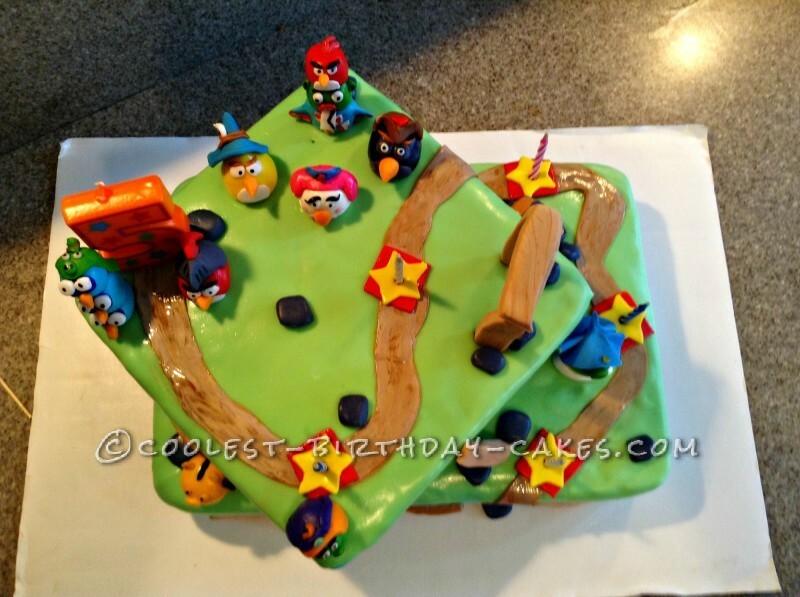 I was truly surprised with just how well this cake turned out. I couldn’t wait for the party!! When we carried it out the kids went nuts! They rushed to eat the birds and piggies first of course, but it was very rewarding to see everyone enjoying it. It really makes you feel like all your hard work paid off. 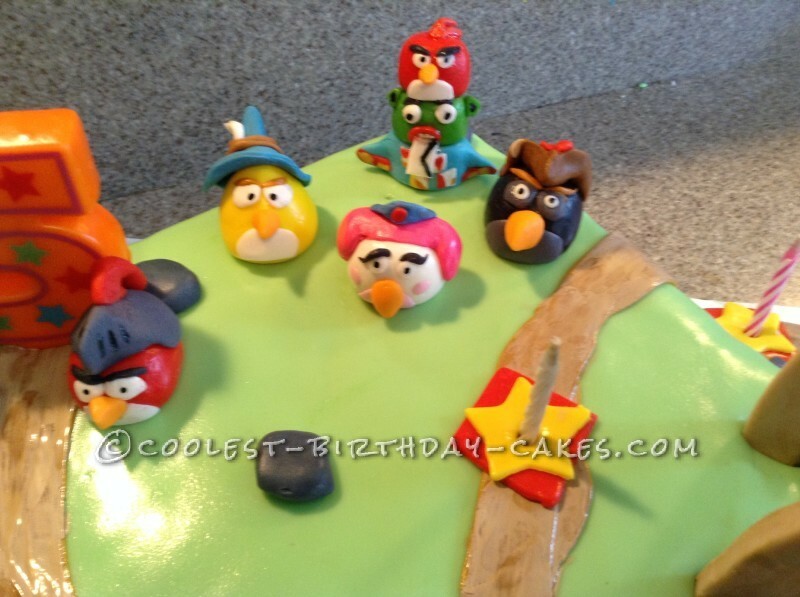 I have not seen any other Angry Bird Epic cakes anywhere else, so it’s a complete one of a kind!! !